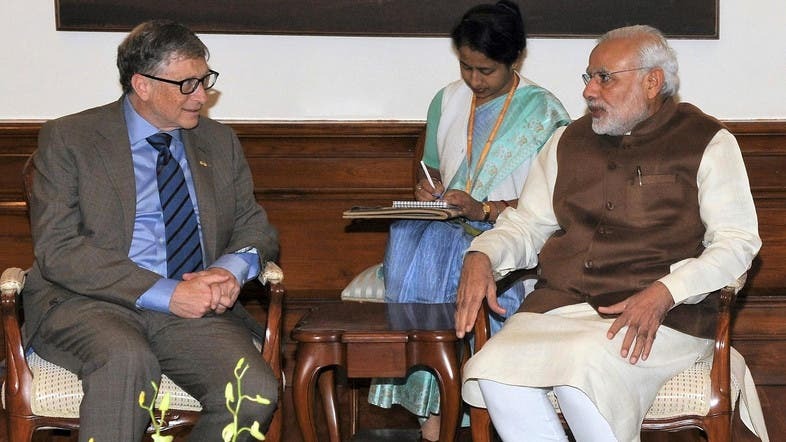 Will super-rich Bill Gates bankroll India’s anti-Maoist strategy? Bill Gates is the richest man in the whole world. And India has unexpectedly sought the US billionaire's help to fight the Maoist rebellion, officially called Left Wing Extremism, which in the words of a former prime minister poses the biggest threat to India’s internal security. When Gates called on Rajnath Singh, Home Minister in Narendra Modi's government, Singh urged the global philanthropist to build 1,000 model villages in the LWE-affected region – also known as India’s Red Corridor – to wean away the local poor from the path of violence, which has killed nearly 8000 in the last 12 years. But the irony is inescapable. The Rashtriya Swayamsevak Sangh, or RSS, the Hindutva fountainhead which has mentored BJP leaders like Modi and Singh, wants the Bill and Melinda Gates Foundation (BMGF) – which gives millions of dollars for improving health and urban sanitation - to be banned in India for “anti-national” activities. After Modi became the prime minister in May 2014, the Indian government has been systematically targeting Western charities and donors and tightened the screws on foreign-funded non-government organizations (NGOs). Many Foreign Contribution Regulation Act (FCRA) licenses have been cancelled forcing NGOs to shut down their operations. The Swadeshi Jagran Manch, a frontal organization of the RSS, has published an entire White Paper on the “evil” effects of BMGF on the country’s health sector. The BJP government obliged by revoking the FCRA license of Public Health Foundation of India (PHFI), which is almost wholly funded by BMGF. 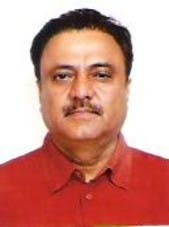 And now Singh, one of Modi’s three most powerful cabinet ministers, has personally requested Gates to foot the bill for the latest sanitation and cleanliness technology in 1,000 villages of Bihar, Orissa and Jharkhand, three states battling LWE on a war footing. “The government’s double standard is shocking. On the one hand, it is paranoid about Western aid agencies fanning social unrest and engaging in religious conversions. And yet it’s seeking Gates financial help to improve living conditions of the dispossessed in remote areas who fall prey to Maoist propaganda and pick up the gun”, a bewildered NGO official said on condition of anonymity. 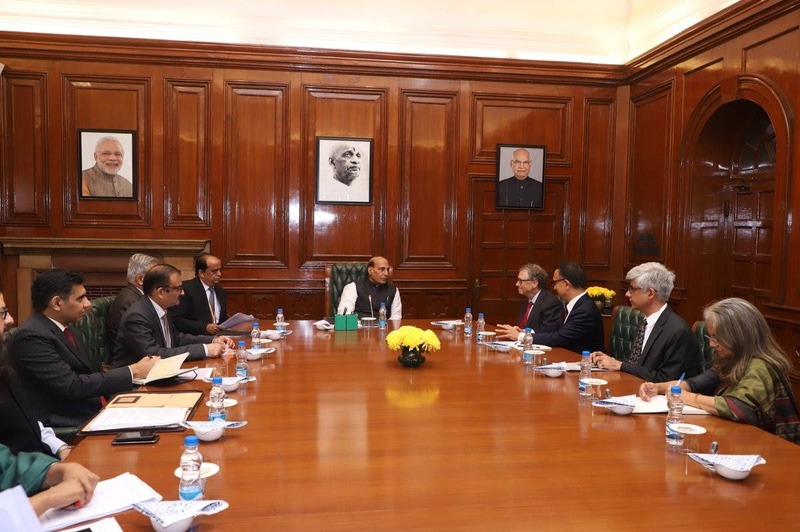 Officials present during Singh’s meeting with Gates, who was accompanied by BMGF team members, told The Hindu newspapers that the crackdown on BMGF-funded PHFI did not figure in the talks held in North Block, the headquarters of the home ministry, which is accused of harassing foreign charities and NGOs in India. Besides BMGF, Greenpeace, Amnesty International, Human Rights Watch (HRW) and even Bloomberg Philanthropies are in the government’s gun-sights. According to Meenakshi Ganguly, HRW’s South Asia director, “India is actively encouraging foreign investment in key industries but is trying to deny funding for efforts to assist the most vulnerable and marginalized.